A puzzle game, inspired by the game 'E-Motion' developed by US-Gold in 1990 ! 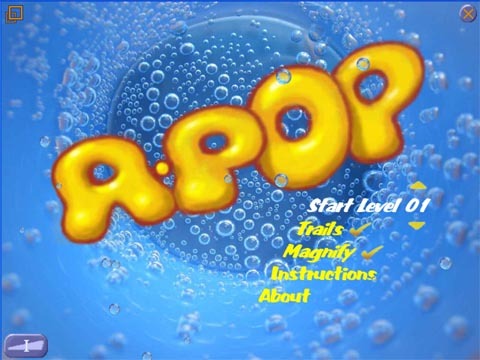 A-PoP! is a puzzle game, inspired by the game 'E-Motion' developed by US-Gold in 1990. 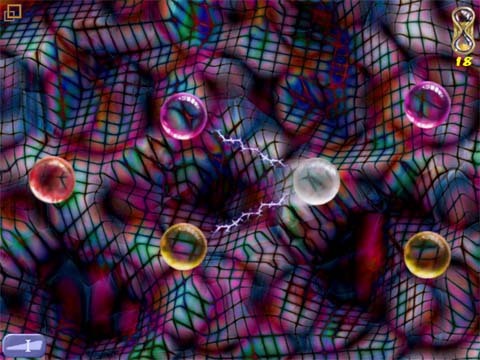 The idea is to clear a screen by bumping similar colored bubbles into each other to pop them all. Sounds easy right ? well if you bump the wrong colors together, it generates another bubble of a different color. Sometimes you need to deliberately make new bubbles in order to make a matching pair of bubbles that you can pop. The simple, fun-gameplay, pretty graphics, puzzles and obstacles, soothing sounds, and dozens of levels will keep you playing for hours. 50 levels to solve ! Bursting Bubbles Deluxe - Play Bursting Bubbles Deluxe for delightful puzzle bubble game entertainment and fun! CubIQ Game - New improved CubIQ - for an even more exciting foreplay! Combo Chaos - Put your brain to the test with this fast-paced puzzler.